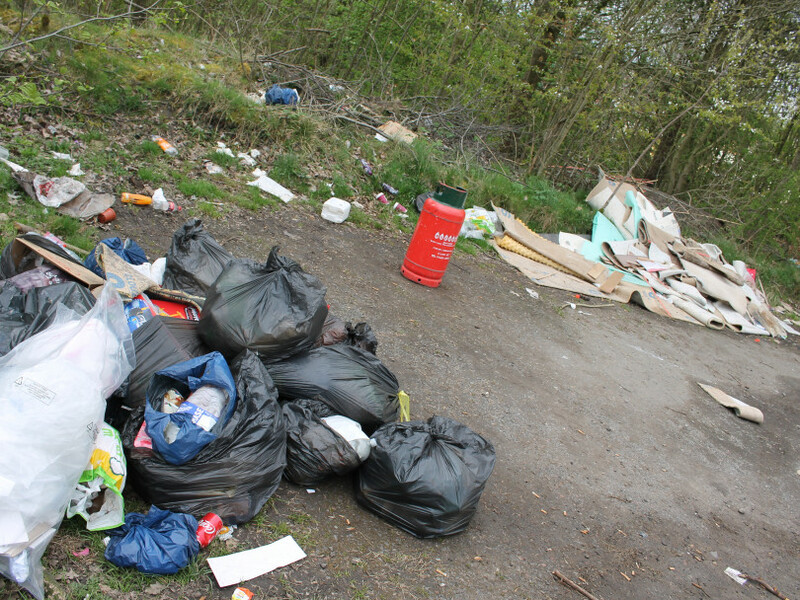 KIRKLEES Council has been forced to clear up the mess left by a group of travellers at Oakwell Hall in Birstall. Officials were in the process of obtaining an eviction order to force the group to leave the lower car park site but they moved of their own accord on Saturday evening. A group of around eight caravans had gained access to the land nearly two weeks ago. Coun Lisa Holmes (Con, Liversedge and Gomersal) even tried to block the entrance so that the travellers couldn’t get into Oakwell by parking her car across it – but she was moved by police. Coun Holmes said the travellers left because a woman, whose farm near to the hall had been broken into, warned them police were patrolling the area. “Her farm was done over on Saturday night,” said Coun Holmes. “She was cross about it. She wasn’t 100 per cent sure if it was the travellers, but she went down and said they should be careful, to watch their stuff and watch their diesel because her farm was broken into and police were putting on extra patrols. “Almost immediately three cars started packing up and then the rest of them not long after that. You can draw whatever conclusions you want but it is a coincidence if it’s not connected. Maybe they implicated themselves there.” Following the group’s departure the area has been left in a mess, with piles of rubbish littering the car park. Coun Mark Thompson (Con, Birstall and Birkenshaw) said: “There were about 20 or so black bin bags piled up with some of them broken open when I was there on Monday morning. “There were mattresses and burned out material, as well as excrement. When The Press visited the site on Tuesday the rubbish was still there, along with a strong smell of human waste. Kirklees’ website stated that they were making “necessary arrangements to clear the site”. Karl Battersby, strategic director for economy and infrastructure at Kirklees Council, said: “The encampment on Oakwell Hall Park has now gone. “We began legal proceedings to evict the people occupying the site but they moved on before the eviction date. “Unfortunately rubbish has been left behind at the site but a clean-up of the area has been arranged. The height barrier through which the travelling group gained access has now been locked, according to Coun Holmes. A travellers’ site earmarked as part of Kirklees’ Local Plan next to the nearby Junction 27 retail park has been condemned by nearby residents and businesses.